Arcaderm Review: Does it Really Give You Glowing Skin? 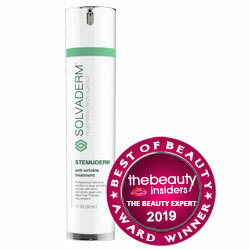 Arcaderm is a “hydrating serum” anti-aging product which is intended to help you maintain a healthy appearance to your skin, especially on your face, which is both visually very important and exposed to weather, sun and environmental toxins. This product is sold with a “trial size” available for about $7. However, obtaining this bottle of the product also subscribes you to receive a product delivery every month, at $79 per month. You do have twelve business days from your order to try and potentially cancel the order with no other obligation. What are the Ingredients in Arcaderm? It is not clear what the active ingredients of Arcaderm are, and we have gotten different reports from both the manufacturer’s website – which seems to be primarily an advertisement, presented as a “review” – and third-party examinations of the product. It does seem to contain aloe vera, willow bark, vitamin E and some other botanical compounds, but their exact role is not described. After cleansing, apply the product to your skin after cleaning, all around your face and neck. Massage it in afterwards. As stated by the manufacturer, you may need to use it for a few weeks in order to get good or dramatic results. This product is meant for use on the skin all across the face and neck, not just one or two targeted areas. The full ingredients list for this product isn’t available, making it hard to judge its possible effectiveness, or if it is safe for people who are sensitive and has allergies to particular compounds. Arcaderm is not a great choice for your anti-aging supplement needs: while its ingredients will probably not be harmful, as far as we can tell, the price is extremely high and it does not provide any clinical evidence to support their offer that it will work particularly well. The manufacturers don’t expect quick results, and even say you might need to use it for several months (at $79 per month, after the first) to see a positive result. Your money can get you better products elsewhere: shop around and find an anti-aging treatment that works great for you.